I wanted to build a website to showcase some of my published writing. It was important that it would be easy for me to update. I had built a previous website using iWeb and wanted something similar to replace it. I heard about Sandvox on an Apple forum discussion about the demise of iWeb. Sandvox was being promoted as the next best thing to iWeb, so I tried it out. 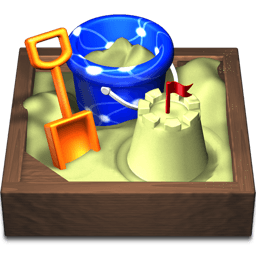 I had Sandvox for several years before I got around to rebuilding and updating my webpage. I was not sure it would be easy to work with, and I sort of dreaded the necessary evil of updating my site. But as my site is supposed to show my recent publications, it became necessary for me to do something with it this summer. I went with Sandvox initially because I had already bought it, and because an Internet search came up with Sandvox as still the next best thing to iWeb. I was pleased with the very helpful video on the Karella website, and a similarly helpful video on my hosting service A2 Hosting. I was surprised at how easy it was to update and rebuild the site, almost as good as iWeb! I had liked that iWeb let me customize pages much more than Sandvox does, but I read on the Karella site that the developers made that choice for good reasons, so I have found a compromise.